View our Gallery of volunteers at work. We currently have over 100 dedicated volunteers assisting the program along the South Coast. These community volunteers play a vital and significant role in assisting with the monitoring and protection of numerous South Coast breeding sites. 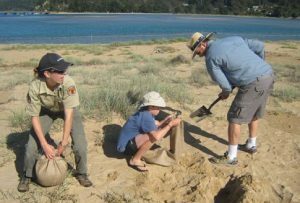 The endeavours of volunteers have been central to the protection of shorebird nesting colonies and have enabled the program to increase its coverage and the number of sites managed. 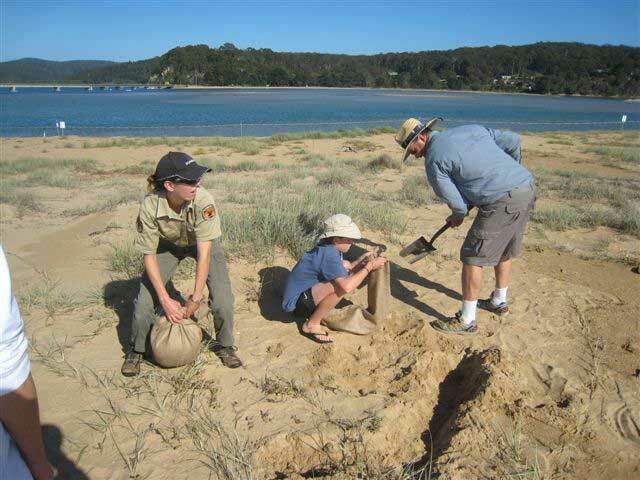 The combined actions and recovery efforts of these volunteers, community based organisations and government agencies will undoubtedly help to ensure the continued survival of breeding shorebirds on the south coast of NSW. We are always looking for people to help out, even just for a few hours – you can make a difference! All NPWS shorebird volunteers participate in initial orientation and training before becoming formally involved. 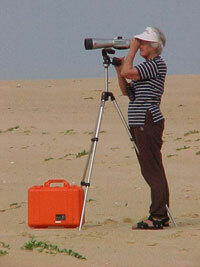 Ongoing guidance and assistance for volunteers is provided by the Shorebird Coordinators. Volunteers are also provided with essential equipment and clothing to undertake their duties, such as gloves, long sleeved shirts and hats. It’s also a great way to meet people with a common interest in shorebirds! Volunteers participating in the program gain a wide range of skills including bird identification skills, field skills, construction and maintenance skills and also effective communication skills. In addition, participants gain satisfaction that their efforts have directly contributed to the conservation of threatened shorebirds in their local area. If you would like to become a shorebird volunteer please go to the Contact page and get in touch with us.